Energy 101: What Is a Smart Grid? In last week’s Energy 101 column, we took a look at the basics of where our energy comes from now. This week, we’re examining the future of energy—specifically, the smart grid. To recap, a smart grid is essentially a modernization of the transmission and distribution aspects of the electrical grid. In terms of transmission, a smart grid makes it easier to deliver alternative energy sources like wind and solar from rural installations to city centers. Without transmission lines, alternative energies are stuck where they’re produced—oftentimes in the middle of nowhere. One of the biggest smart grid transmission line projects in the works is the Green Power Express, a 3,000 mile wind power superhighway that will bring 12,000 megawatts of wind energy from rural areas in the Upper Midwest to cities in the Midwestern and Eastern States. The project is scheduled to be completed in 2020. Power distribution is just as important as transmission capabilities in updating our electrical grid. A smart grid delivers electricity using digital technology that tracks power consumption with smart meters, special electrical meters that instantly transmit energy usage information to utilities via wireless networks. 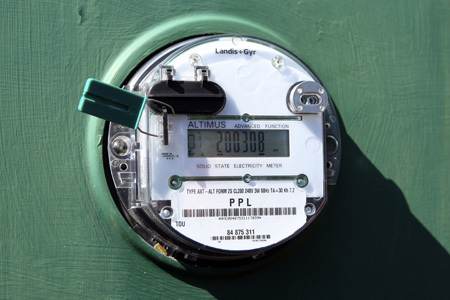 Smart meters also let us track our own energy use hour-by-hour on the Internet and with third-party computer programs. In order to account for the ever-increasing amount of intermittent energy sources (solar, wind, etc.) on the grid, utilities that distribute smart meters adjust prices based on the availability of these energy sources. In other words, prices will be higher when solar power is scant, and so on. In theory, this should reduce the pressure on the grid to produce energy during times of limited availability. Many utilities have already begun transitioning to smart grids, but Boulder, Colorado has laid claim to the title of the first smart grid city. Boulder and Xcel Energy have already laid down over 100 miles of fiber optic cable and installed 15,000 smart meters. Once the system is completely in place, 10,000 Boulder residents will be able to track their energy use online. Later this year, Boulder will start up its peak pricing program, so residents can time their electricity use for when power is cheapest. A few dozen residents will even get rooftop solar panels, a back-up battery system for emergencies and plug-in hybrid electric (PHEV) cars. The University of Colorado’s chancellor, for example, will have a solar photovoltaic system that feeds into a battery pack, which in turn can run the home’s security system, computers and refrigerator in case of a power outage. The battery pack also recharges the chancellor’s PHEV, and the car (and battery pack) can pump power back into the electrical grid if necessary. It sounds futuristic now, but don’t be surprised if your own home is decked out with these features in five or 10 years time. smart grid is a vision to upgrade the existing grid with help of modern communication technologies, real time computational techniques and advanced sensors to improve the efficiency and reliability. 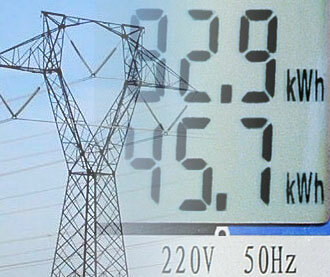 The "Smart Grid" is a rationing device. Nothing more. Nothing less. Rationing is what you do when you cannot meet real needs. Can't afford promised Social Security benefits? Raise the retirement age to 67 and beyond, and call it "Social Security Reform". Can't afford universal healthcare? Ration services, and call it "Healthcare Reform". Rationing. Waht you do when you *know* that wind, solar, geothermal, etc simply cannot fullfill our energy needs. Certainly not today, and maybe not ever. We need to use all the tools we have available today so that wind, solar, and geothermal can take their CURRENTLY rightful places as SUPPLEMENTARY sources of energy. The NE gets electricity from COAL, from the Mid-West.Other parts of the country may also. I thought 'smart-grid' existed BETWEEN tectonic plates. What's the story? I can't believe wind and solar will provide enough power to heat our homes, provide for our appliances, drive our cars anytime soon.It gets very cold in the North and for those having a continental climate. In a single paragraph... The goal of a smart grid is to collect and provide the optimal amount of information necessary for customers, distributors and generators to change their behavior in a way that reduces system demands and costs, increases energy efficiency, optimally allocates and matches demand and resources to meet that demand, and increases the reliability of the grid. The social benefits of a smart grid are reduced emissions, lower costs, increased reliability, greater security and flexibility to accommodate new energy technologies, including renewable, intermittent and distributed sources.